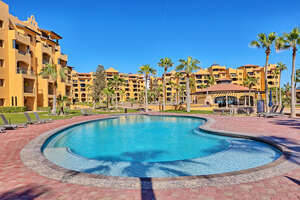 The condo is oriented with sweeping views beyond the resort to the city lights of the Old Port in Rocky Point. 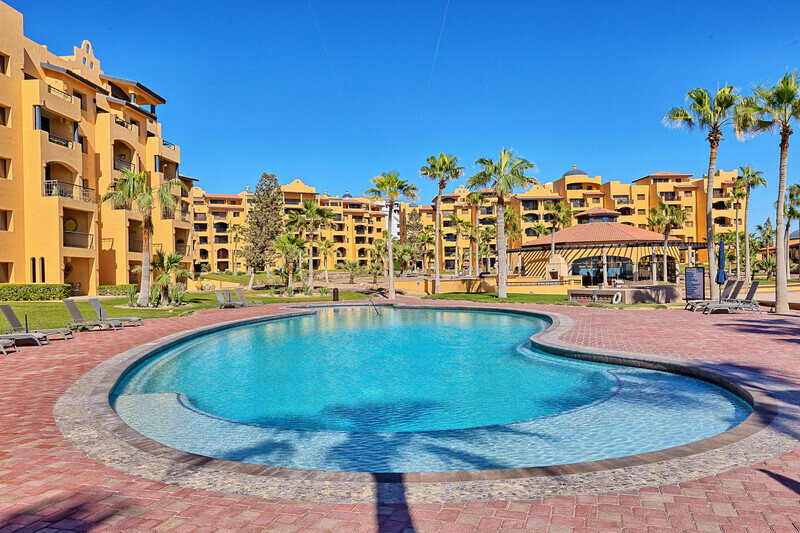 Regulars to Rocky Point show a preference for ground floor units like this, as they afford easy access to the beach, the resort, and all the things you came to Rocky Point for! Close to your patio is one of a numbert of swimming pools at the resort. Furnished to provide a feeling of home, you will appreciate the comfortable seating area in the living room, full dining area, and kitchen with bar counter top. Both bedrooms are complete with a King sized bed in the master bed/bath suite, and the second bedroom offers 2 twins. You will find that the living room sofa converts to a bed for extra guests as well. Enjoy more than 200 chanels of Satellite TV on the Flat Screen TV in the living area, or the TV/VCR in the bedroom. 07/04/18 10:50pm David When we visited A101 in June 2017 it was not in a good condition and I brought to the attention of the Seaside Management the need for the stove, the bar stools and the toaster to be replaced. Upon visiting in June/July of 2018 I was very pleased to see that all three items had been replaced and I would thank the Seaside Management staff for bringing A101 up to date. We look forward to returning to A101 in September 2018. 06/22/17 02:58pm Michael The water pressure in the second bathroom shower is very low - the other couple staying with us found it difficult to shower in it. Otherwise, everything was perfect! 06/27/16 03:32pm Diana everything was perfect , with exception of the confusion on the extra rate of the occupancy. we were 6 persons total on the 2 bedrooms condo. I believe that the extra rate charge is fare and make sense after you exceed the maximum of the occupancy. 02/29/16 05:06pm Edmund Leo great place!!! Everything in order. 06/11/15 10:32am David We used the restaurant for drinks at lunchtime and the restaurant's "beach service" for lunch and drinks throughout the day. The drinks and lunch were of good quality and reasonably priced. Such a facility/service is very welcome and will be used by us on future visits. 04/02/14 01:45pm Alan N Most Beautiful Place We Have Ever Stayed !